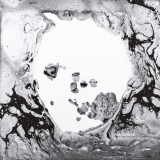 A Moon Shaped Pool is ranked 7th best out of 20 albums by Radiohead on BestEverAlbums.com. The best album by Radiohead is OK Computer which is ranked number 1 in the list of all-time albums with a total rank score of 196,619. Members who like this album also like: To Pimp A Butterfly by Kendrick Lamar, ★ (Blackstar) by David Bowie and Carrie & Lowell by Sufjan Stevens. Hard Rock Cafe - Seattle, Seattle, United States. The tracks on this album have an average rating of 89 out of 100 (all tracks have been rated). Related links: top tracks by Radioheadtop tracks of the 2010s, top tracks of 2016. Showing latest 5 ratings for this album. | Show all 1,564 ratings for this album. Beautiful album for when you just want to relax. When an album like this shows up, and you listen to It, knowing that It is praised, knowing how hyped It is, you either get two sentiments at first, or you overstimate, or you put It down in dissapointment. This album has it's time already, almost three years, and people like myself include are starting to change their opinion on It. It is undoubtly the most remarking thing Radiohead released this decade, and possibly the last thing they will released that will be compared at level to their cliche "Perfect albums" like Ok Computer and Kid A (not saying I don't like them). When I first got on to this album I thought It was like, the best thing ever, the best thing to come out in ages and ages, masterpiece, and so on. But obsviously It isn't that. A Moon Shaped Pool is a very cohesive, and focused album, composed with a clear thematic of sound in mind, wich makes the whole album sound very melancolic, It is in fact, the most melancolic sounding album by them. There is no "Optimistic", no "Karma Police", no "Idioteque", no "Paranoid Android", no "Just", every song is tuned down and really calm, except for the opening track. But maybe there's this one thing that really stand this album out It is that It creates an atmospheric experience that I don't think It was ever made this immersive by them. "Decks Dark" incorporates this very well, you see yourself in this alien invasion, even If the words doesn't intend to mean what they are supposed to, the sound, and the atmosphere of the song brings you in with this feeling of fear of life, of living. And I absolutely love "True Love Waits" I remember listening to this in 2016 and falling in to bits crying, and It has been this way every time I hear It since. I think It is my favourite song by them, and one of my favorites in general. Every line, is perfect. Perfect in the sense it makes you want to never attempt to love someone again. But you know you will do It anyway. A fascinating album. I admit, it took me until a couple months ago to start to actually buy into the Radiohead hype. If you're like me, keep trying and things will eventually click. Glad I'm finally able to get all that's happening here. The collision of genres, the beautiful lyrics and the depiction of despair is all so incredibly well executed. Bravo. For some reason, this one took a while to click with me, but man did it click hard. This album is a perfect follow-up to In Rainbows and The King Of Limbs. This series of three album is as solid as it can get, not that many bands have made three close-to-perfection albums in a row. I'm a huge fan of Radiohead, but mostly of their music from 2007 and on. This is where they went from great to legendary in my mind. And this album is a good example of what I love about this band. A Moon Shaped Pool is a powerful album that you really have to listen to and to experience. It cannot be described by words (well, I can't). And it ends up with the most devastating song ever, True Love Waits. This song will break you into pieces.